We just love love LOVE these summer-themed palettes! 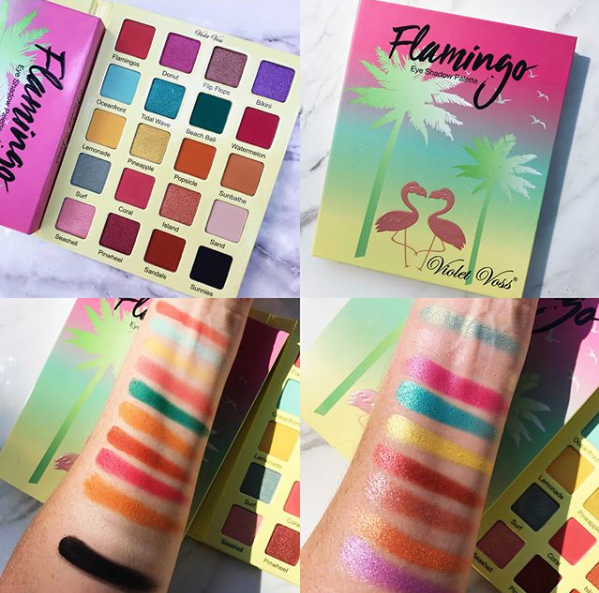 Violet Voss is releasing their Flamingo Eyeshadow Palette & Glamingo Face Palette today, 6.28! The Flamingo Eyeshadow Palette is $45 & the face palette is $42. With the eyeshadow palette you get 20 shades in a mix of shimmers and mattes which is typical of Violet Voss palettes. The face palette has six shades of blush, bronzer and highlight. We can totally take or leave the face palette when it comes to this launch simply because it’s nothing that knocks our socks off, ya know? Sure, it’s pretty and suuuuper handy to have your bronzer, blush and highlight all in one palette (I am a HUGE fan of face palettes) but there isn’t much about this one that takes our breath away. 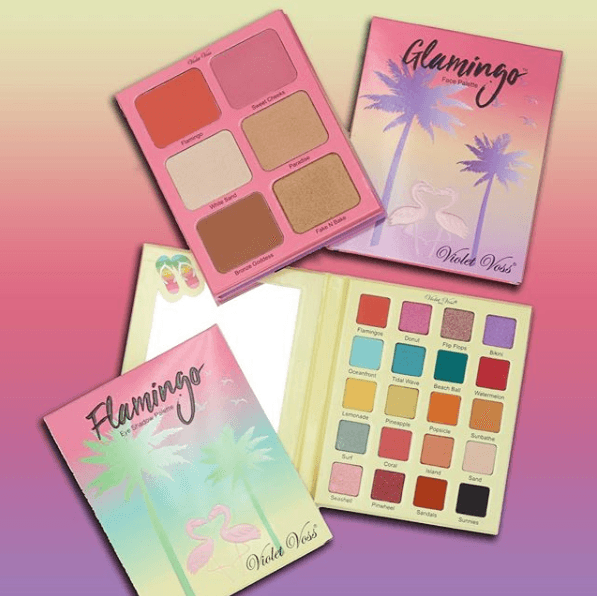 We are TOTALLY into the Flamingo palette, though! Like we said, these colorful, summery palettes are soooooo up our alley right now! This reminds me alot of the BH Cosmetics Festival Palette with the bright, bold shades and cool blues. This is essentially the higher end, more expensive version of that palette. These types of palettes are certainly not the most wearable or everyday palettes, though. They’re more supplementary palettes are great to have in your collection to pair with other more natural palettes to come up with a super fun, summer look! We personally haven’t tried any Violet Voss shadows yet but the videos included here feature pretty good reviews so it appears it may be worth a shot!